St. Martin's Press. Hardcover. GOOD. Spine creases, wear to binding and pages from reading. May contain limited notes, underlining or highlighting that does affect the text. Possible ex library copy, thatâll have the markings and stickers associated from the library. Accessories such as CD, codes, toys, may not be included. St. Martin's Press. Used - Good. Ships from Reno, NV. Former Library book. Shows some signs of wear, and may have some markings on the inside. 100% Money Back Guarantee. Shipped to over one million happy customers. Your purchase benefits world literacy! St. Martin's Press. Used - Very Good. Ships from Reno, NV. Great condition for a used book! Minimal wear. 100% Money Back Guarantee. Shipped to over one million happy customers. Your purchase benefits world literacy! St. Martin's Press, 1977. Hardcover. Used: Good. St. Martin's Press. Hardcover. 0312317808 Like New Condition. . Fine. St. Martin's Press. Hardcover. 0312317808 New Condition. . New. St. Martin's Press, 1977. Jacket is rubbed, scuffed on back, lightly chipped, not price-clipped. Navy boards are rubbed on bottom edges and tips. Back inside hinge is weak. Bookplate on feb. Pages are clean, text has no markings, binding is sound. . Hard Cover. Good/Good. 8vo - 7¾" - 9¾" Tall. Ex Libris. New York: St. Martin's Press, 1977. Very good cloth-covered boards and dust jacket. Foxing on the top edge, glue stains on the rear endpapers, and shelfwear on the bottom edge. Dust jacket has foxing on the verso and light wear.. Hard Cover. VG/Very Good. St. Martin's Press. Very Good+ in Very Good+ dust jacket. 1977. First Edition; First Printing. Hardcover. 0312317808 . Hardcover. 1977. St. Martin's Press. 313 page. Book and Dust Jacket have light shelfwear, else Very Good Plus condition. First Printing. ; 8.10 X 5.60 X 1 inches; 313 pages . St. Martin's Press. Fine in Fine dust jacket. 1977. First Edition :SIGNED. Hardcover. 0312317808 . Octovo hardcover, flat signed by the author on title page, blue cloth with gilt lettering on spine, tight binding, clean and crisp pages, none marked or torn, the covers are unworn, a hint of smudge on foredge, else quite FINE-looks unread, in lightly worn dustjacket: , tiny speckling on back and light rubbing of vertical edge, else VG++ to NFINE, now in clear mylar. A collectible copy still. A winner of the Hugo, Nebula, and John W Campbell awards, by one of the masters of science fiction. A definite high-spot and desirable. ; 8vo 8" - 9" tall; 313pp pages . New York, NY: St. Martin's, 1977. First Edition / first printing. 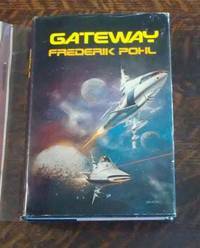 Signed "To Del - Best Wishes - Frederik Pohl" the title page. Book is in very good + (pages aged, light wear along bottom edges of boards) condition with a very good + (light wear at corners, 1/4" tear at lower rear) unclipped dustjacket protected in a Brodart wrapper. An Attractive Copy! Please feel free to ask me for pictures or more information, Thanks.. Signed. First Edition. Hard Cover. Very Good/Very Good. St Martin's Press, 1977. First Edition in Very Good condition with a Very Good Plus unclipped Dust Jacket protected by a Mylar Brodart. Dust Jacket art by Boris Vallejo. 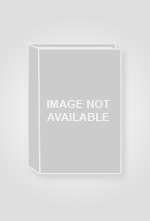 The Hugo Award winning novel. 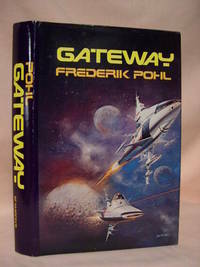 Signed on the title page (signature only) by Fred Pohl.. Signed by Author. First Edition. Hard Cover. Very Good/Very Good Plus. Hardcover. New York: St. Martin's Press, 1977 Inscribed by Pohl on the half-title page to well known science fiction bookseller, "For David Aronovitz, Frederik Pohl, Phoenix, 1978." Nebula Award winner, 1977. Hugo Award winner, 1978. Magill, Survey of Science Fiction Literature, pp 858 - 864. Barron, Anatomy of Wonder 1987, *4-415. Fine in fine and bright dust jacket with the merest hint of edge rubbing. A very handsome copy.. Inscribed. First edition, first printing. Hardcover.